Byoteam is a complete line of "pharmacosmetics" created for particular effectiveness for those who are physically active. Neither competitive or amateur activities are free from side effects, which must be taken into due consideration, "monitored" and prevented. This is because aerobic metabolism during physical activity increases, in turn increasing the production of free radicals. 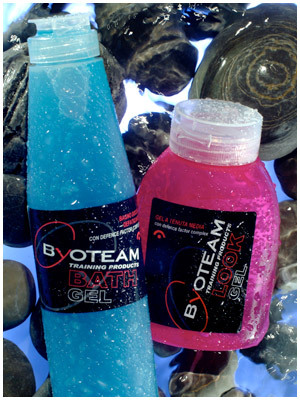 The entire Byoteam range has been designed to answer the needs of the most demanding customer: professional athletes.